PA's unilateral resolution calling on Israel to "end the occupation" fails to receive the nine required votes to pass. The United Nations (UN) Security Council failed on Tuesday night to adopt a resolution on Palestinian statehood, AFP reports. Only eight countries voted in favor of the resolution, two voted against, and there were five abstentions. The resolution needed nine votes in its favor to have passed. France, China and Russia were among the countries that supported the text setting a 12-month deadline for negotiations on a final peace deal with Israel, reported AFP. Australia and the United States voted against. The resolution failed to pass despite earlier claims by the Palestinian Authority (PA) that it had the necessary nine-vote majority to enable it to pass the resolution calling for recognition of a "Palestinian state" as well as an Israeli withdrawal from Judea, Samaria and eastern Jerusalem by the end of 2017. 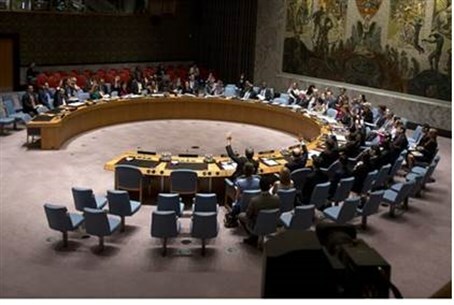 Had the resolution passed, it would have forced the United States - which has stated its firm opposition to such unilateral measures - to use its veto at the Security Council, potentially causing tensions with some of America's Arab allies in the UN. As recently as Monday, PA foreign minister Riyad Al-Maliki had indicated that the vote would be postponed until after the new year, after the vote was put off last Friday and again on Monday. Analysts believed the PA would be better off to wait until after January 1, when the make-up of the Security Council will change and more countries with pro-PA stances become members. The United States reiterated on Monday that it does not support the unilateral draft resolution, with State Department spokesman Jeff Rathke saying Washington believes the resolution would not advance the goal of peace or address Israel's security needs. He continued, "Further, we think that the resolution fails to account for Israel's legitimate security needs, and the satisfaction of those needs, of course, integral to a sustainable settlement."